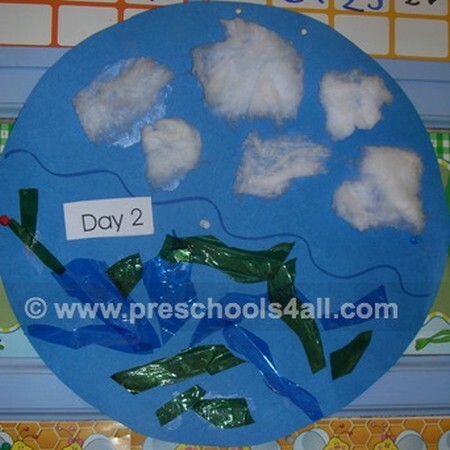 There are many preschool bible crafts activities which you can do with the children that focus on the story of creation. 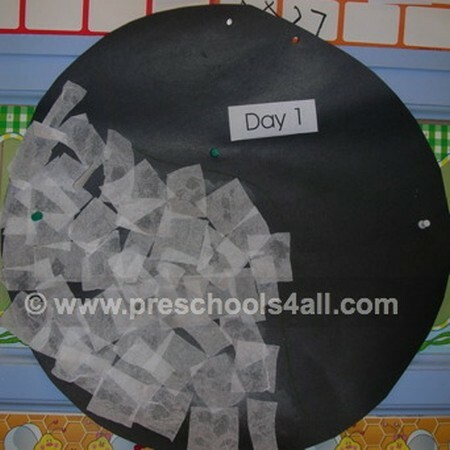 In my class, the children enjoy using different materials and the open-ended style of the activity below. We chose to take our time and everyday we worked on one day in our creation book for a total of seven days. 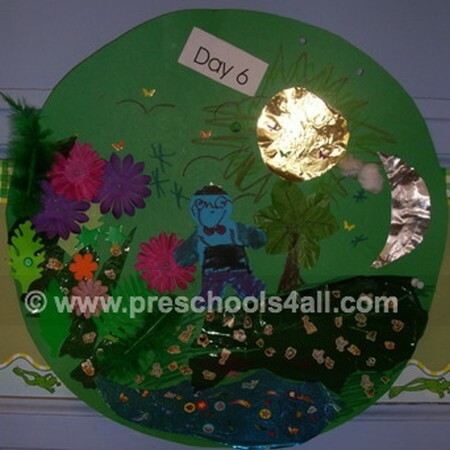 If you would like to do it in one day, I would recommend to set up seven centers where each center is a different day of creation and the children will move from one center to the next. 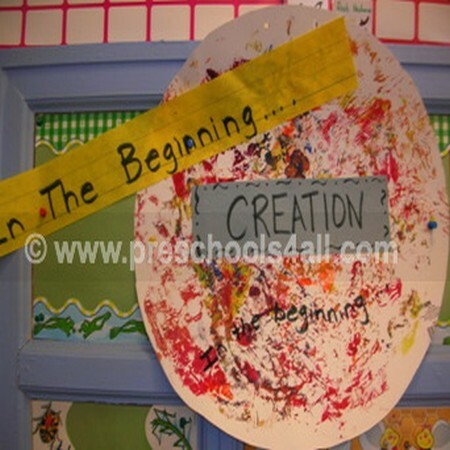 Read the story of creation to refresh your memory and view other discussion points. On the first day, God said: "Let there be light." 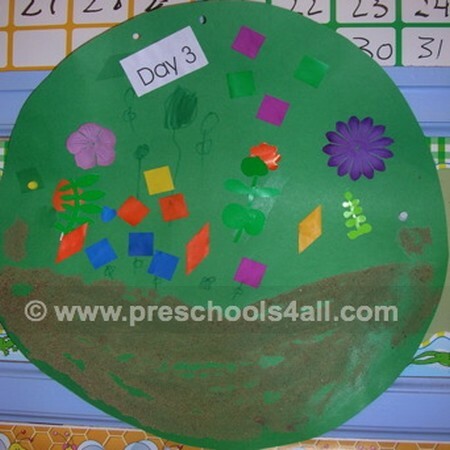 On the third day, God created the land, the trees and the flowers. 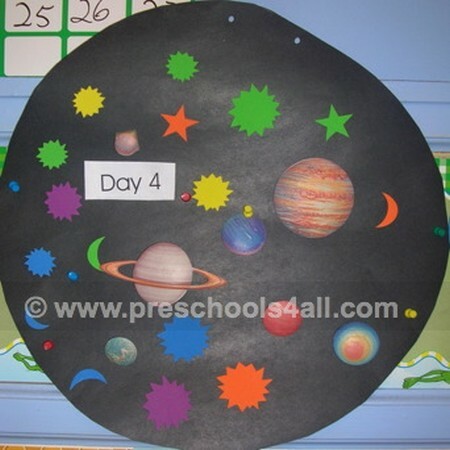 On the fourth day, God created the sun the moon and all the stars. 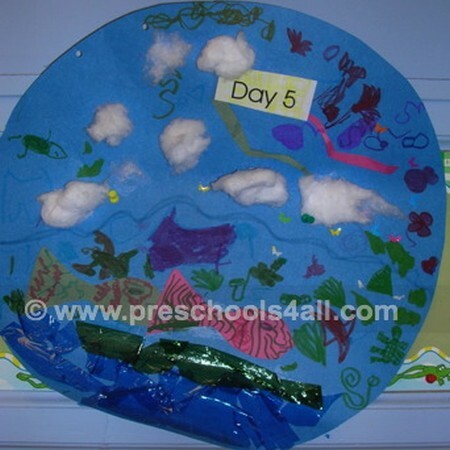 On the fifth day, God created creatures living in the sky and waters. On the sixth day, God created the animals of the land and people. On the seventh and final day, God rested.